Are you making the most of your advertising opportunities? With a well-placed, and attention-grabbing marketing tool, your company can catapult its exposure into maximized levels. A great option for producing these results is mobile marketing. Mobile marketing can take your business vehicles, and turn them into a powerful advertising statement with each drive! Are you using a fleet of vans or trucks to provide your customers with services or deliveries? These vehicles can become your greatest advertising investment with fresh designs and high resolution imagery. Leave a lasting impression in the minds of the neighbors and family that you service, and appeal to the areas that you already frequent. Our client, Toyota of Marina Del Rey, was already on board with this great marketing plan when they came to our experts at Black Parrot Sign Studio. They were interested in several vehicle in their fleet being adhered with wraps, and our team was ready to provide them! Black Parrot Sign Studio offers decals, half-vehicle wraps, and full-body wraps depending on your needs. Many forms of marketing that are used for high volumes of exposure, are heft in regards to pricing. These are a great option for businesses on a budget, and they can be customized to fit any level of affordability needed. Reach out to us today to find your complimenting graphic package! 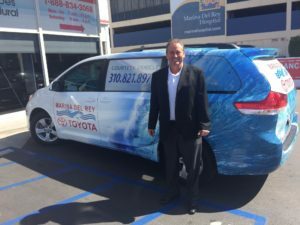 As you can see in the image above, these completed wraps for the fleet at Toyota of Marina Del Rey were a complete success. They were graphically appealing, and allowed a direct representation of the message our client was trying to portray. With the precise lettering, and bold color choices, these wraps will leave a lasting impression in the minds of the community. At Black Parrot Sign Studio, we are invested in the marketing success of our clients. 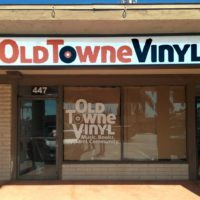 We work with custom estimates to ensure your completed sign or graphic package compliments the specifications required to achieve your advertising goals. Choose from many custom color schemes and creative design concepts to match your business’s location, aesthetic, and brand. We have a team of designers on hand to make sure all the tailoring details will exceed expectations! 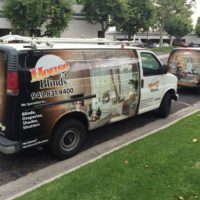 Do you have any questions about the fleet wraps and fleet graphics provided by our professionals? Would you like to learn more? Reach out to us today, and we will put you down the path to a custom mobile marketing package for your fleet!